Welcome to Southside Print London Bridge, commercial printers based in South London SE1. We have in-house digital and large format printing services along with qualified graphic designers who are on hand for those who need professional design and artwork. Prices are extremely competitive, quality is exceptional and turnaround is fast and reliable. Located in Tabard Street, Southside Print is situated conveniently close to local businesses in London Bridge, Borough, Bermondsey, Elephant & Castle, Kennington, Waterloo and Southwark, just south of the River Thames. A4 to A0 sizes available. from our shop in Tabard Street, London SE1. When you’re spending good money on high quality printing, it makes sense to use the services of qualified graphic designers to communicate your sales or marketing message in an eye-catching, attractive and effective way. Our in-house creative team can cater for all your design and artwork needs whether it’s for print, for exhibitions, for large format display or for websites. We’re also digital printers. Printing using this state-of-the-art electronic process means that your sales and marketing literature is printed in no time at all and that it’s affordable to produce as few as one copy — or several thousand — without the need for printing plates. This alone can save you a whole heap of money! The quality of the output is exceptionally good. Southside Print London Bridge is also a large format printer. Our in-house facilities are suitable for large posters and in-store display graphics, roller banners, exhibition stands, display panels, pop-up exhibition systems (which are supplied with wheeled transportation cases) and point-of-sale (POS) graphics and signage. The output quality is truly excellent. For those who have significant print requirements or prefer a one-stop shop for all their printing, we offer a full print management service. Here, we take all the technical and practical demands of printing off your hands and manage it all for you, so you’re free to get on with other things, stress-free in the knowledge that your printing is being taken care of by professionals. We are direct mail specialists and can help at all stages of the promotional process; from marketing concepts and design right through to printing and final distribution to your customers or prospects. Direct mail helps to build long-term relationships with your customers and survey after survey shows that people are influenced by it when making a purchasing decision. Put simply, it works! 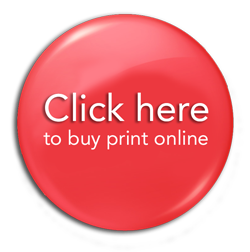 For enquiries or quotations for printing and design, call Southside Print London Bridge on 020 7378 6754 or complete the form here. Additional contact options can be found here. I cannot say enough good things about my experience with Southside Print – truly one of the best experiences I’ve had working with a vendor. I live in the US and needed a substantial print order (reports, flyers, postcards, and tri-fold brochures) all turned around within a 3-day window. I contacted at least 8 printers in London, and Southside not only came back with the most competitive bid but also the friendliest and most attentive customer service—BY FAR. Before submitting the quote, Rob called me with some specific questions and proposed a few thoughtful options I hadn’t even considered. And it only got better from there. He helped me format an InDesign file, alerted me to possible quality issues based on one of the files I sent, arranged to pull select copies from our large order for pick-up, and delivered everything AHEAD of promised time. Southside Print made a stressful situation infinitely more manageable, and I will be forever grateful. Highly, highly recommend their services. Southside Print London Bridge cares deeply about the environment. We strive to do everything we can to reduce our environmental impact and carbon footprint. That’s why sustainability is engrained in our business culture through the use of things like eco-friendly paper and very energy-efficient machinery — even our web hosting is ‘green’. Ask us about our sustainable paper options — call 020 7378 6754 or find out more here. Our SE1 branch is positioned particularly conveniently for businesses which require printing in or around London Bridge, Bankside, Borough, Bermondsey, Elephant & Castle, Waterloo and Southwark. Other areas nearby include Brixton, Camberwell, Canada Water, Denmark Hill, Dulwich, Herne Hill, Kennington, Lambeth, Mansion House, Monument, Newington, Oval, Peckham, Rotherhithe, Streatham, Surrey Quays and Vauxhall. We are also happy to supply print services further afield including South London, the South East and Nationwide. Check out our artwork tips, technical information and printing guidelines on one easy-to-follow page. These will help to ensure that your printed jobs are free from issues and unexpected results. Our tips section will be particularly useful to those who are supplying their own artwork.